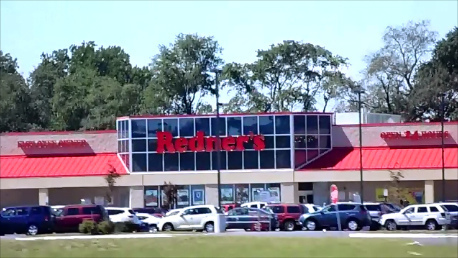 Redner’s Markets is a chain of supermarkets that comprises of a number of convenience stores and warehouse markets situated in Delaware, Maryland, and Pennsylvania. The distribution warehouse of the company is based in Pennsylvania. Redner’s Markets was founded in 1970 by Earl and Mary Redner, when two primary supermarkets were opened by the couple in Reading, Pennsylvania. Since its inception, the company has shown great success and has grown and expanded to other locations. An Employee Stock Ownership Plan (ESOP) was formed in 1975 by the Redners. This is when the company became the very first of its kind in Pennsylvania to be owned by employees. The 40th anniversary was marked by a great celebration by Redner’s Markets. A fuel reward program known as Pump Perks was started by Redner in late 2008. Customers are given a chance to redeem their rewards at specific Sunoco stations, Redner’s Quick Shoppes, as well as other fuel contractors. They do not need to sign up since a card is offered at checkout. Cardholders save $0.10 per gallon of gasoline for every 100 dollars that is spent. They also are involved in events that benefit the community. I have been a Redners customer all my life. Redners is my favorite store. I eat at the hot food bar 4 times a month. Out of all the stores I visit, your store in Womissing, pa, has the worst hot food buffet bar. My last visit, the food selection was terrible! You had 6 different types of wings in the hot food bar. What type of selection is that? Most of the time, I have to guess what the food is in the trays. No description! I ended up going to Burger King. I hope you can straighten this out. I am not a chronic complainer, but this last visit, really aggravated me. On my birthdays, my family gives me your gift cards.